DNS—that little-noticed piece of Internet infrastructure—is emerging as a key tool to realizing the promise of cloud computing. Advancements in Domain Name System (DNS) technologies, including the ability to couple real-time traffic steering with automation, are transforming this often overlooked but foundational component of the Internet into a powerful tool, giving enterprises a new opportunity to improve performance and efficiency by unleashing the power of a technology that every organization already uses. 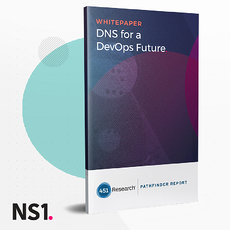 In this new report for 2019, 451 Research describes how intelligent and automated DNS systems are improving application rollout, delivery & performance.